Product prices and availability are accurate as of 2019-04-20 07:21:10 UTC and are subject to change. Any price and availability information displayed on http://www.amazon.com/ at the time of purchase will apply to the purchase of this product. 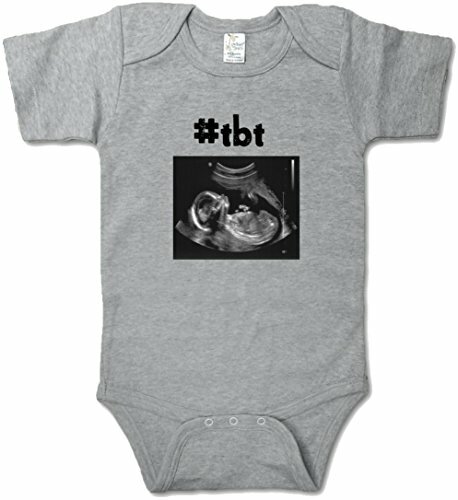 High-quality, 100% cotton, grey child single with snaps and "#tbt" and Ultrasound picture layout. Amusing child present! Great shower gift! Perfect gift for parents who have a great sense of humor! 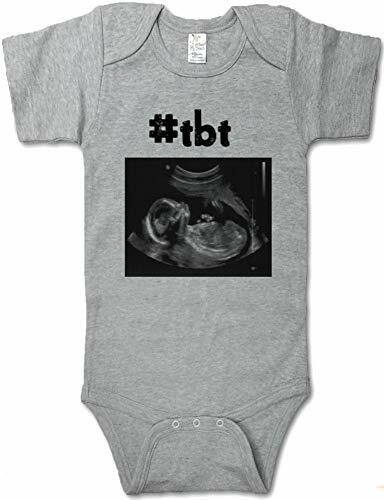 Hilarious baby shirt!